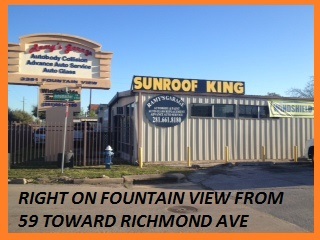 Thank you so much for your interest in Ramy’s Garage, your Houston auto repair specialist. We are delighted you have chosen to visit our website today. We repair and service all makes and models of cars, trucks, vans and trucks. We are Houston auto repair experts and we have been in business for over 50 years. There are many ways to reach us. we will be delighted to assist you with all your auto repair needs. We answer all auto repair question and give you free auto repair quote. No charge for the price quotes or estimates. By simply driving to our shop. The address and Map are below. By completing the short form below and sending it to us. We will get back to you right away. Why Should You Contact Us for Auto Repair? We repair or replace all makes and modes of vehicles – All Makes! Most jobs completed while you wait. We will call or email you to verify your appointment request.